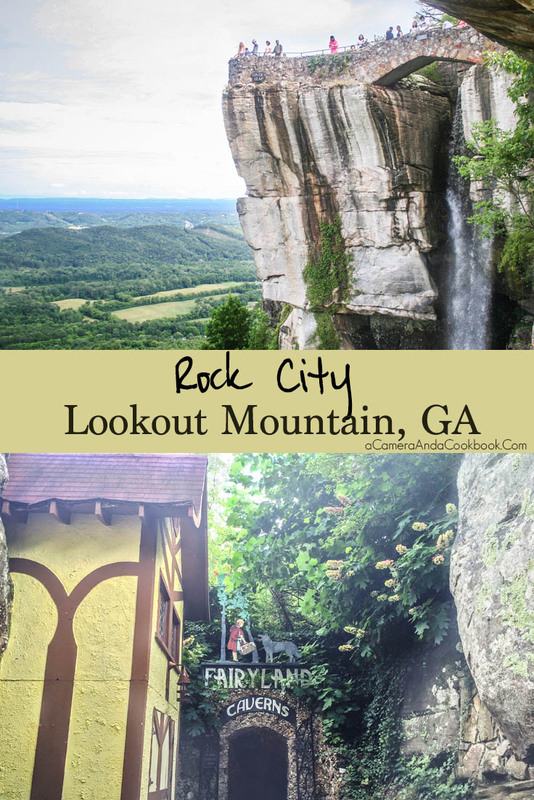 Rock City is a tourist spot on Lookout Mountain in Lookout Mountain, Georgia, which is about 6 miles south of Chattanooga, TN or about 120 miles northwest of Atlanta, GA. 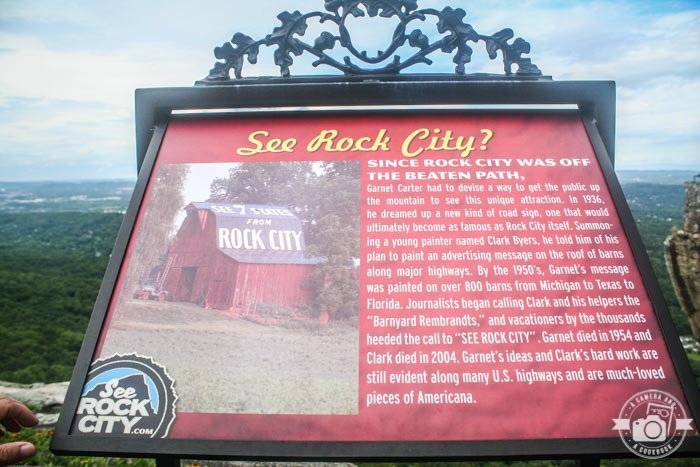 If you’ve driven anywhere in the Southeast or Midwest U.S. you’ve probably seen advertisements for it painted on roofs or sides of old barns that say “See Rock City.” These were painted from the 1930’s to the 1960’s by Clark Byers who was hired by the owner of Rock City. 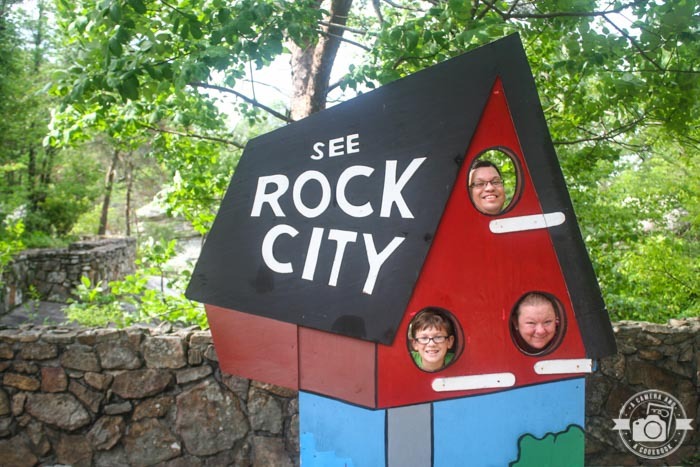 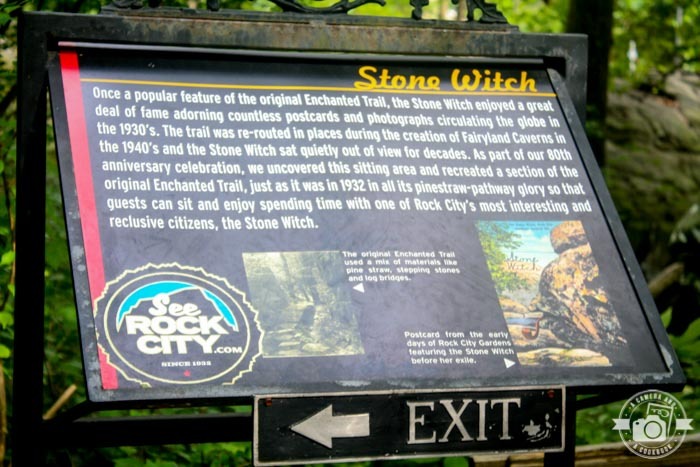 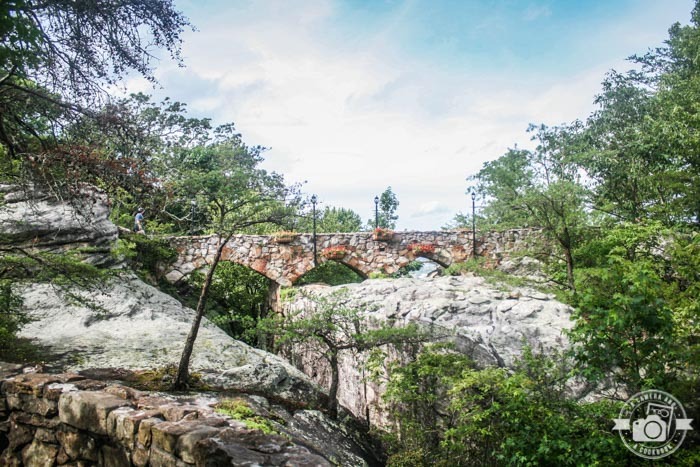 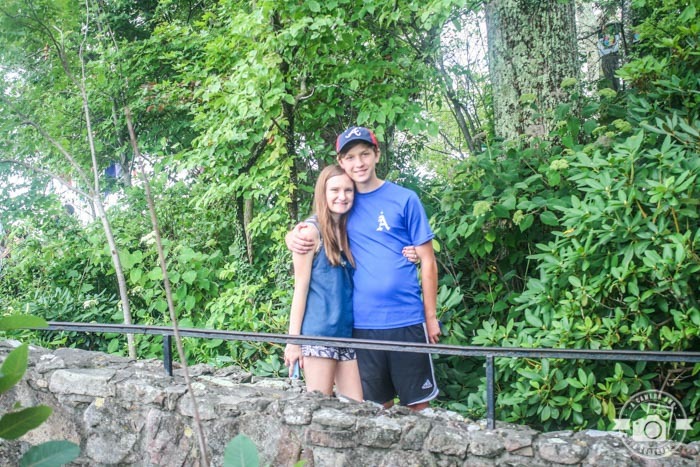 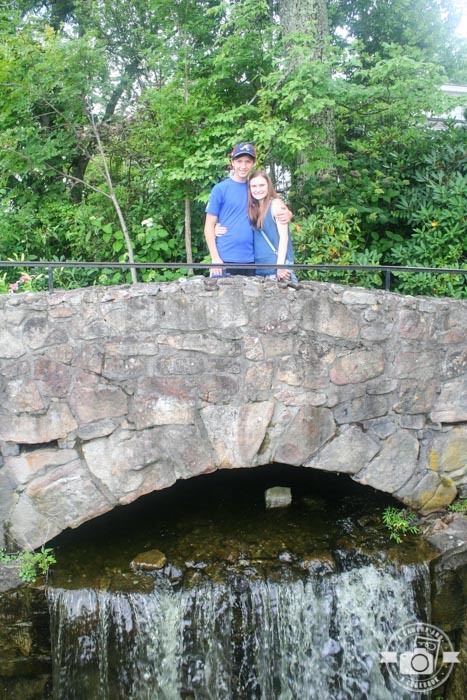 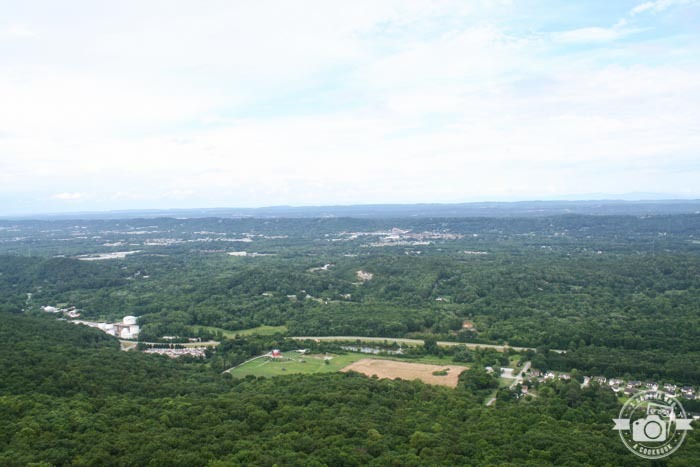 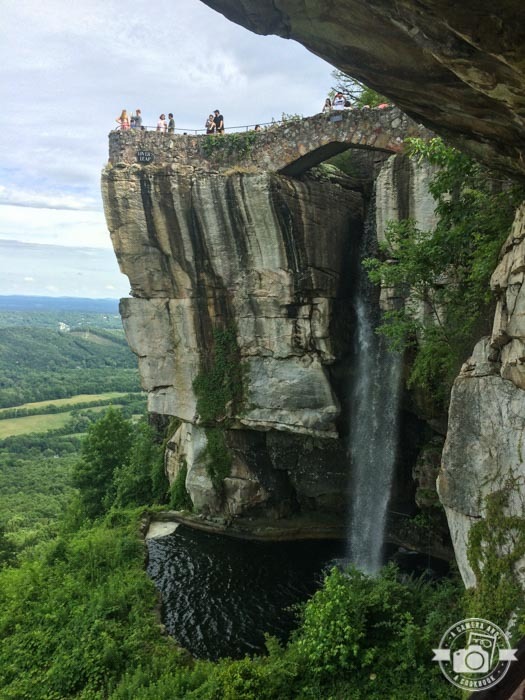 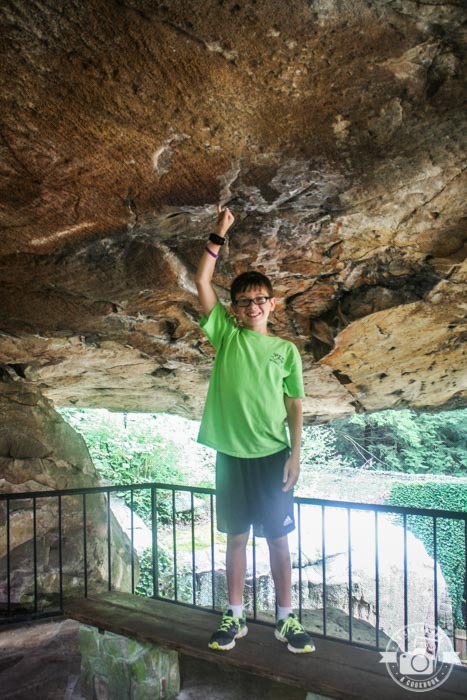 Rock City has several sections to walk through and enjoy. 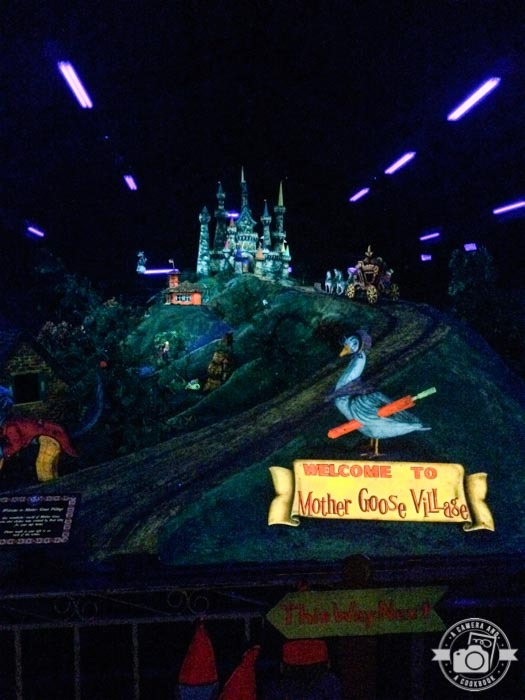 I recommend covering the entire park and I’d recommend at least an hour or 2 if not more. 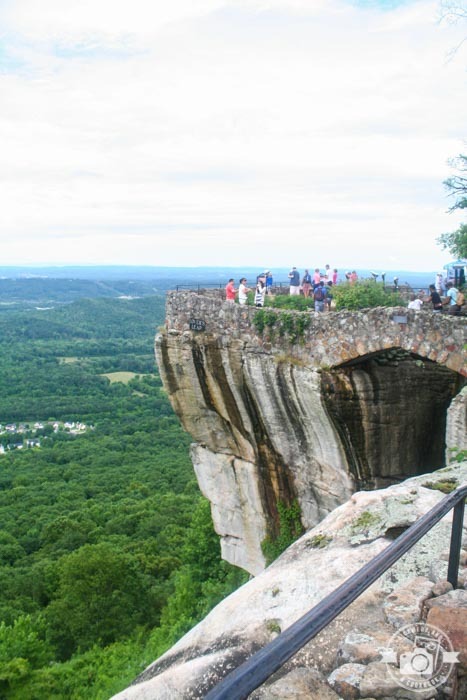 Lover’s Leap is the rock that sticks out of the side of Lookout Mountain. 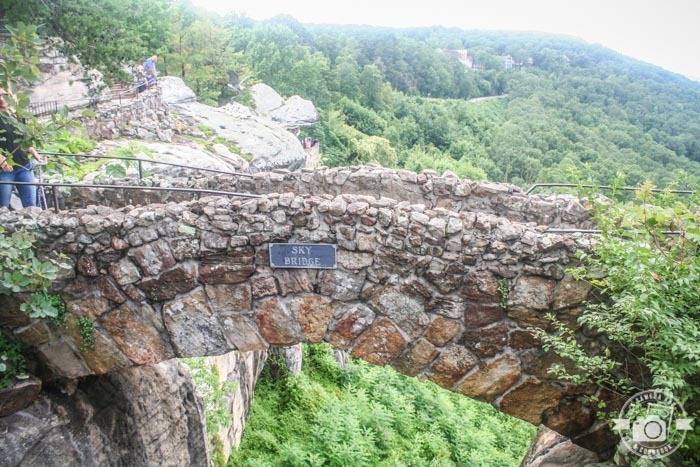 It get’s its name from an old Cherokee legend about two young lovers Sautee and Nacoochee who jumped to their deaths from that very spot. 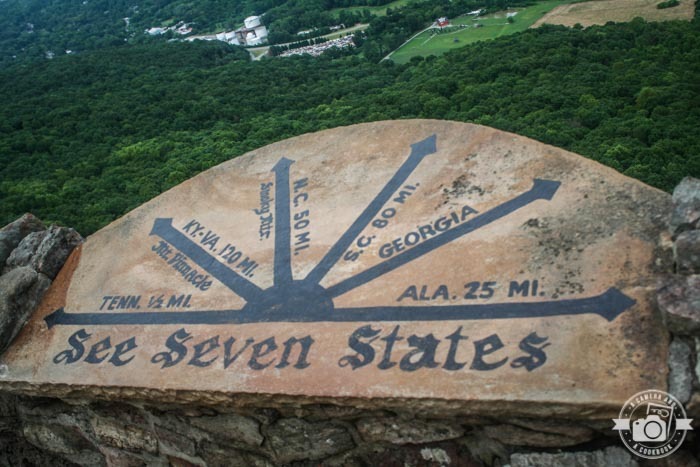 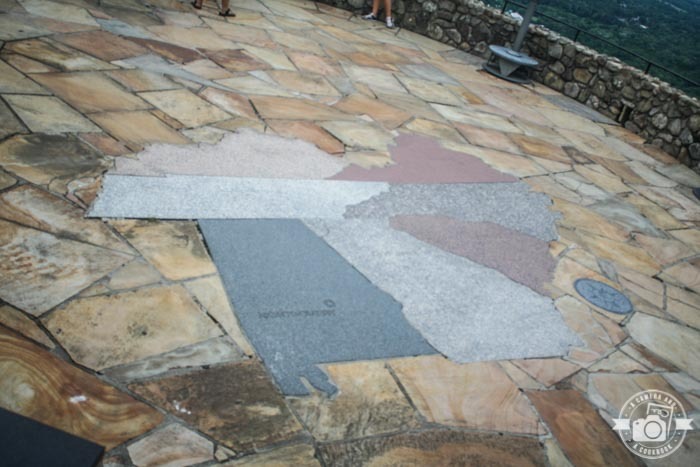 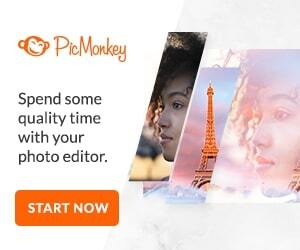 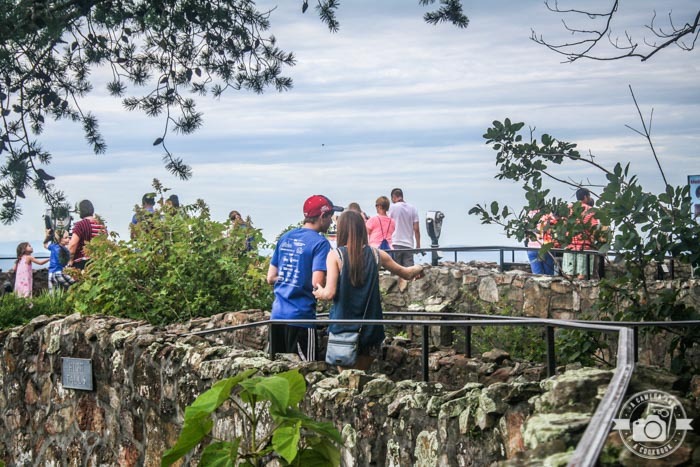 This spot boasts beautiful views of seven states; Alabama, Georgia, Kentucky, North Carolina, South Carolina, Tennessee, and Virginia. 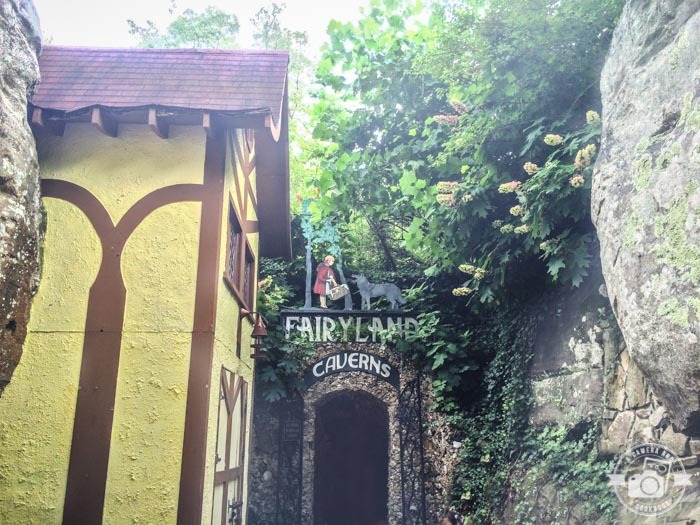 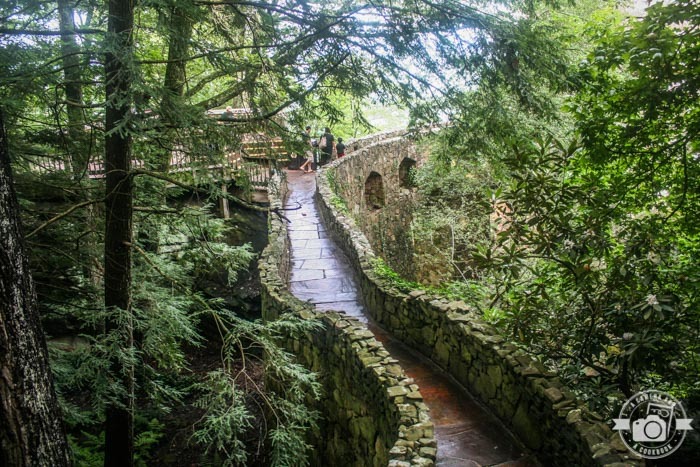 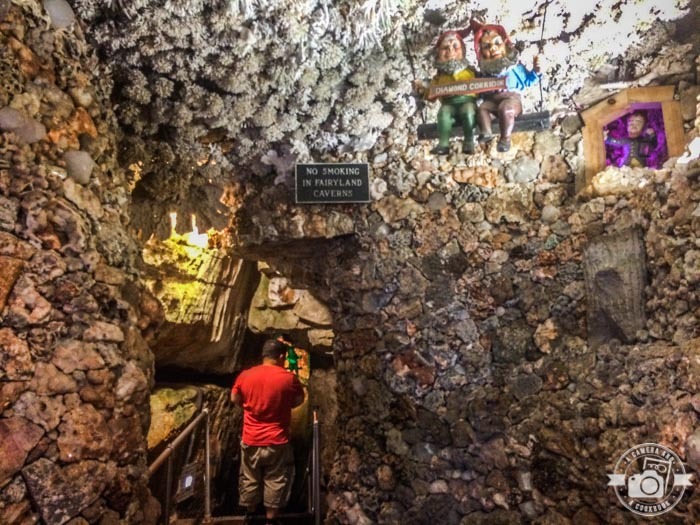 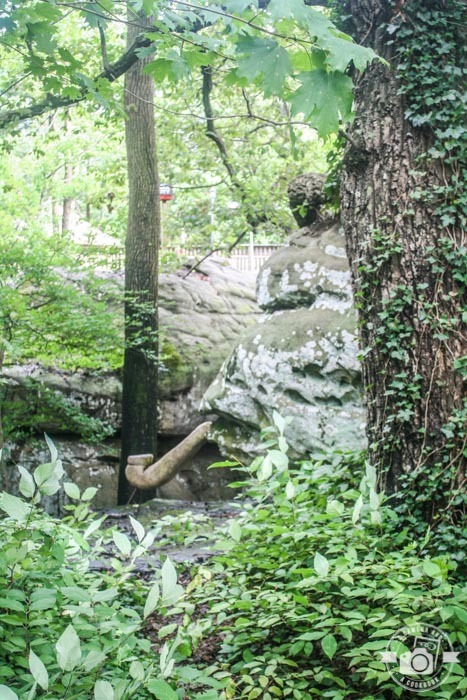 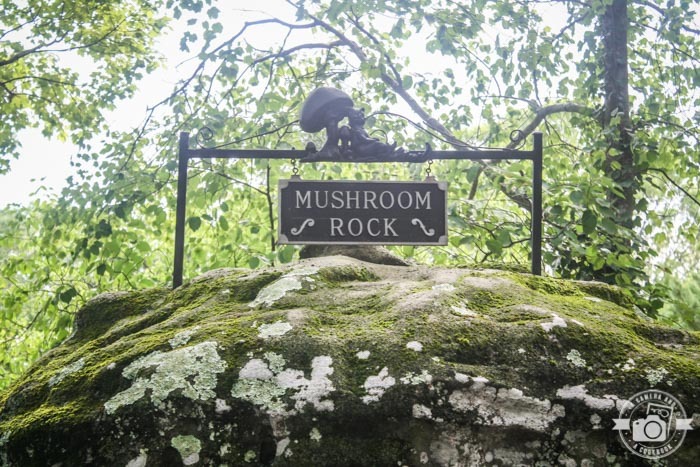 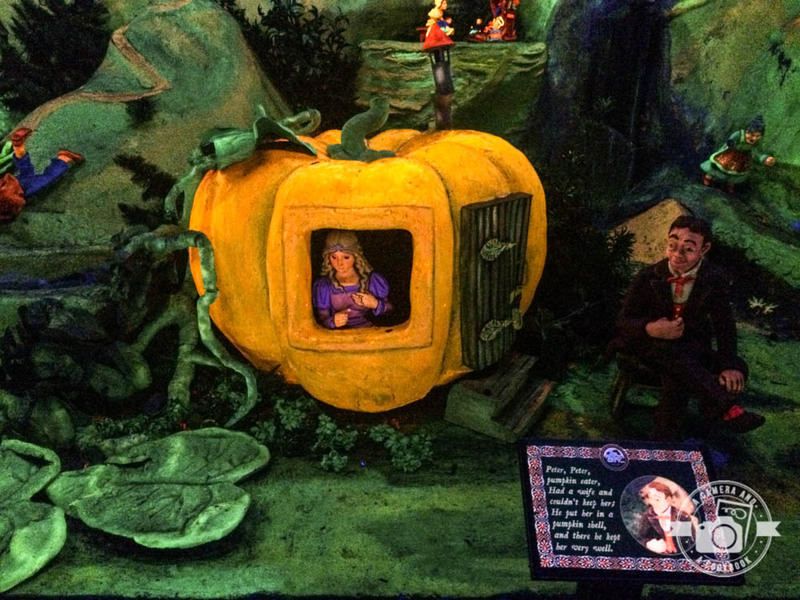 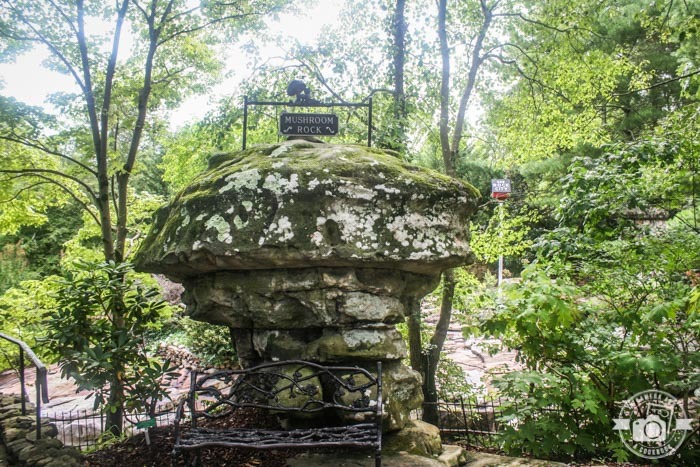 One of the founders of Rock City’s wife, loved folklore and fairytales, so her husband hired a sculptor from Atlanta to create fairytale scenes, which are now housed in the Fairyland Caverns along with some of Rock City’s famous gnomes. 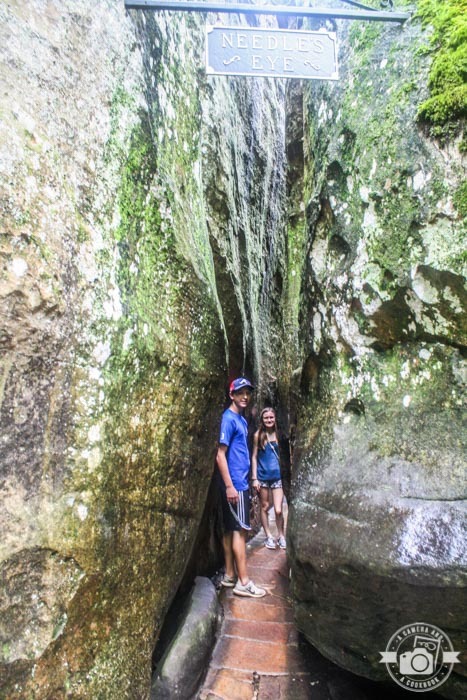 So many different shaped rock formations. 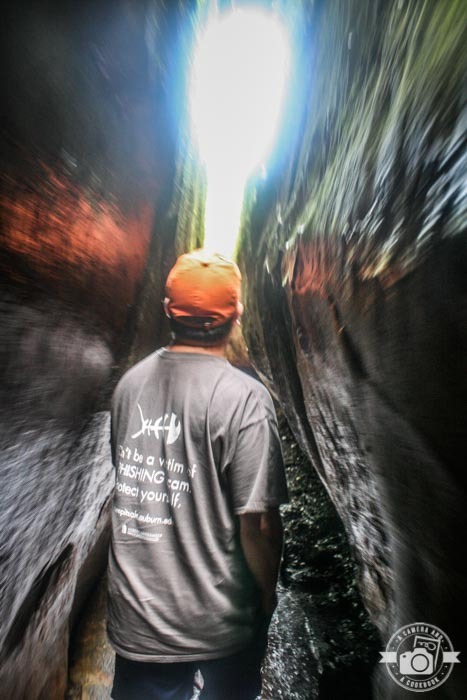 Slide through some very narrow rock formations. 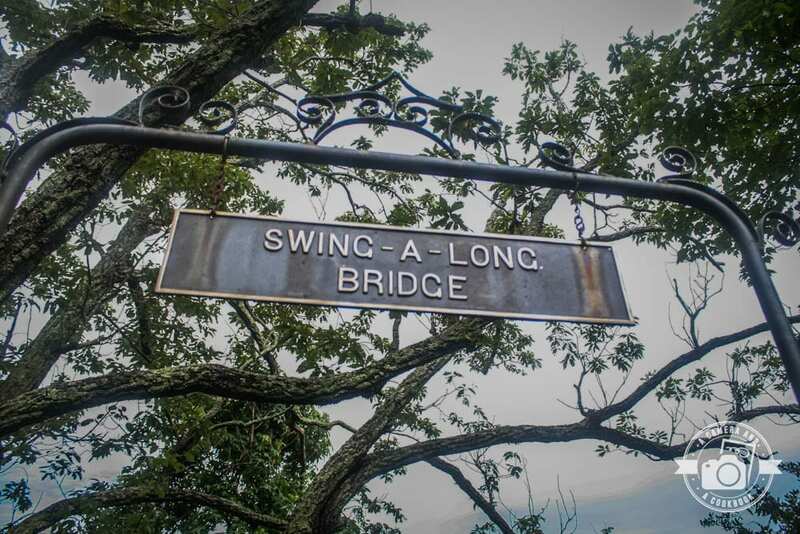 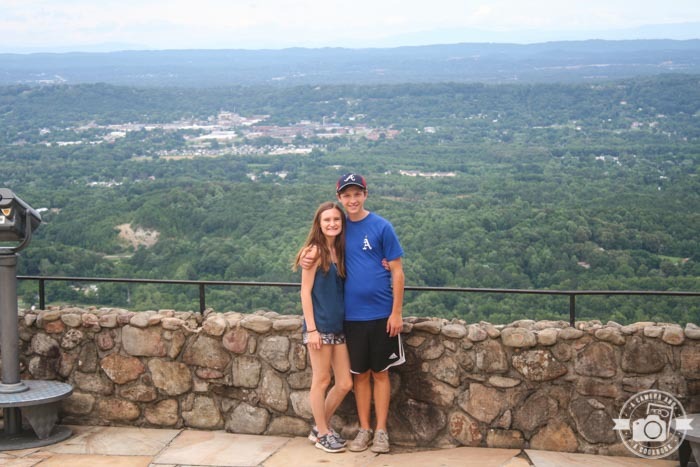 Swing-a-Long Bridge is 180 foot, suspension bridge that a great spot to see the Chattanooga Valley. 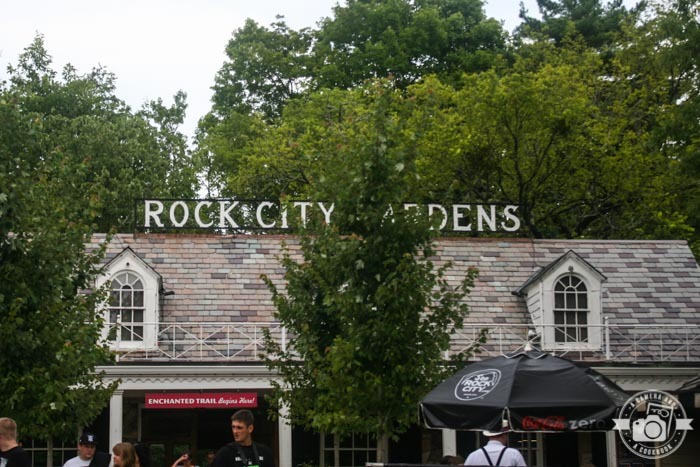 See all my pics from our time at Rock City—> Rock City Pictures. 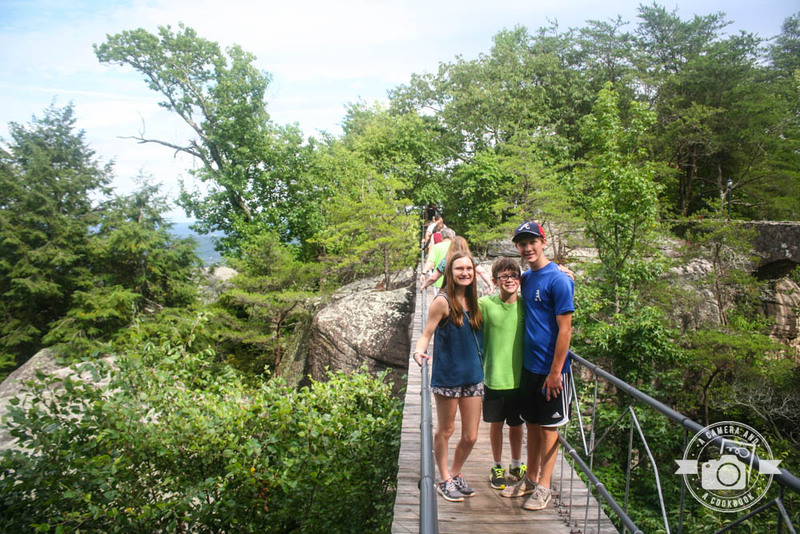 Sorry for the quality of some of these pictures, my camera/lens started acting a fool on this trip.